Top 10 DNA Tests - How Does AncestryDNA Work? 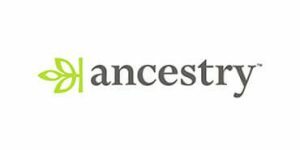 AncestryDNA is a business branch of Ancestry.com LLC, the biggest genealogical corporation on the planet. It was launched as the result of Ancestry.com LLC’s aspirations to complement genealogical research with the best ancestry DNA test possible. Ancestry.com LLC was founded back in 1983, with corporate headquarters in Lehi, Utah. It has since launched numerous brands, including Ancestry, AncestryHealth, Archives.com, AncestryProGenealogists, Find a Grave, Family Tree Maker, Rootsweb, Newspapers.com, and Fold3. Just in the last three years, the company has provided access to over 20 billion historical records and generated over 100 million family trees. Ancestry Magazine currently has more than 2 million subscribers. If you just found out about AncestryDNA, our today’s post is the perfect starting point to familiarize yourself with the service and learn how it works. In 6-8 weeks, your final report will be generated, which you can then inspect on the website. Your AncestryDNA test kit will contain instructions, a sample collection tube, one sealable bag, and a pre-paid return mailer. AncestryDNA uses saliva for its genetic testing, so the collection procedure might take up to a few minutes. You shouldn’t eat or drink anything but water for at least half an hour (preferably 2 hours) before collecting your DNA sample. Brushing your teeth or chewing a bubble gum can also contaminate the sample. The collection tube is filled with a chemical solution, which will keep your sample fresh and free of bacteria. Replace the funnel with it and squeeze to activate the stabilizer. Just shake it for 5 seconds afterward and you can send it back. At the price of 99$, the test examines both your autosomal and gender chromosomes. This means you’ll receive a complete report on your direct paternal and maternal ancestries in the past thousand years. Note that most of the ancestry tests available check only your autosomes, omitting Y and mitochondrial DNA. AncestryDNA test checks more than 700,000 locations in your DNA, which are called “genetic markers.” This ensures the optimal accuracy of the results (98%). For the sake of comparison, 23andMe checks around 570,000 genetic markers. Your final report will include DNA matches matched against the database with 7 + million genetic signatures, an interactive ethnicity map, and DNA circles, which will allow you and your genetic matches to come together around common ancestors. Ancestry Magazine subscribers will receive the “Map and Locations” map, with interesting information about their ancestors. 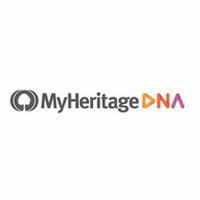 AncestryDNA also allows you to download your raw DNA results, which you can then use with other DNA testing companies.